Autel MaxiDiag MD808 Pro Full System Scan Tool is update version of Autel MD802, support more cars, more system and more functions than MD802. MD808 Pro support Steering Angel Learning, DPF functions, and Battery Registration and reset. MaxiDiag MD808 Pro with larger screen and memory, update online lifetime for free. 4. The brand-new optimized appearance designwith ergonomic buttons and crisp lines of the exterior has simple structure to be operated bya hand. 1. MD808 PRO is upgrade version of MD802 , covers more cars and more systems. Based on the ARM Thumb Processor (400 MHz), it needs only 6s booting time to allow you to build a more fluid user experience. 4. For MD808 PRO, Live data graphing for all available modules. Shops that would use Autel MaxiDiag MD802 Pro? The all new Autel MD808 pro offers technicians more advanced features and functions to diagnose all systems for major vehicles on the road today. With all the amazing functions, the small andexquisite tool is capable of delivering unmatched efficiency in diagnoses and services, making the ideal service tool priced for everyone to afford. 1. Support Read/Clear Codes and Live Data functions for ALL systems ,all avalable modules within Powertrain , Body , Chassis , information and communication systems. Q: Does it read TCC transmission data on GM vehicles? Q: Does it include ALL SYSTEM as in MD802 All systems , or only 4 systems ? Q: What is a component test ?? Feedback: That looks like quite a good tool for the price! If I could afford something like that at the moment and didn’t already have a scan tool, I’d be all over that. Q: Can this read oil or transmission temperature? A: I found transmission temp, might read oil temp on cars that support it, i only found coolant and air temp otherwise. 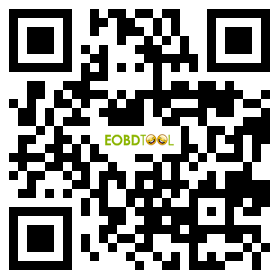 After using different scan tools in my car repair shop, I have come to like the Autel MD808 pro diagnostic code reader. I was introduced to Autel by a friend, and I am very grateful to him. Autel brand offers some of the best OBDII scan tools on the market, and their performance is outstanding. Today, I will only talk about the Autel MD808 scanner. The Autel Maxidiag MD808 pro scanner is a Combination of Autel MaxiCheck Pro and the Autel Maxidiag Elite MD802. The MD808 Pro diagnostic scanner is an excellent tool for car repair shop owners (like me), professional mechanics, and DIYer enthusiasts. It may not be a high-level diagnostic scanner, but neither is it an entry-level scanner. Read this Autel MD808 Pro review to know more about this MaxiDiag obd2 scanner. So far so good, I have scanned a few vehicles and it has been easy to navigate the MD808. I have been able to retrieve the codes with ease and it has worked well. I do like how it doesn't have any internal batteries either. That is how my last code reader went bad b.c the batteries sulfated in the unit and caused it to fail. Nice unit. This scanner worked great, tried several different scanners and went to many shops and none could access the airbag module or service interval reset for my 2006 Porsche cayenne, this one did it with ease, well worth the money. Is well built (though it was made in China) is water and oil proof. Simple to navigate. It is the pro I wasn't sure since the md808 uses the same case but the scanner has the model. online, retrieve information and get warranty service. Prior to registration, please confirm your network is working properly. 2.If you already have an Autel account, Sign In with your account ID and password. 3.If you are a new member to Autel, click on the Create Autel ID button on the left side to create an ID. 4.Enter the required information in the input fields, and click the Get Verification Code button to get a verification code for email validation. and complete other required fields. Read through Autel’s Terms and Conditions and click on Agree, and then click Create Autel ID at thebottom. A product registration screen will display. 6.The device’s serial number and password is located in the About sectionof the System Setup application on the tool.